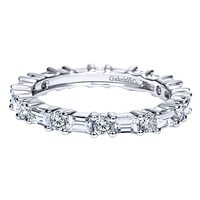 One half carat total diamond weight eternity band. 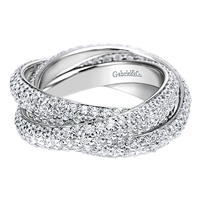 A simple and stunning diamond eternity band with over one half carats of round brilliant diamonds! 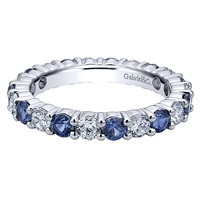 Sapphire & Diamond Eternity Band! 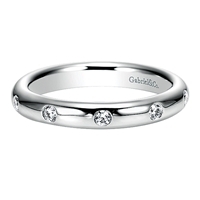 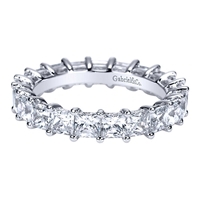 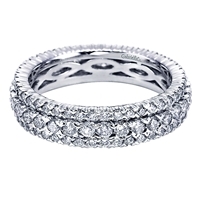 This 1.5 carat round diamond eternity band shines all the way around its 14k white gold setting! 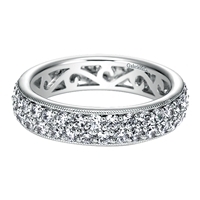 Double Row Diamoind Eternity Band! Round & Baguette Eternity Band!